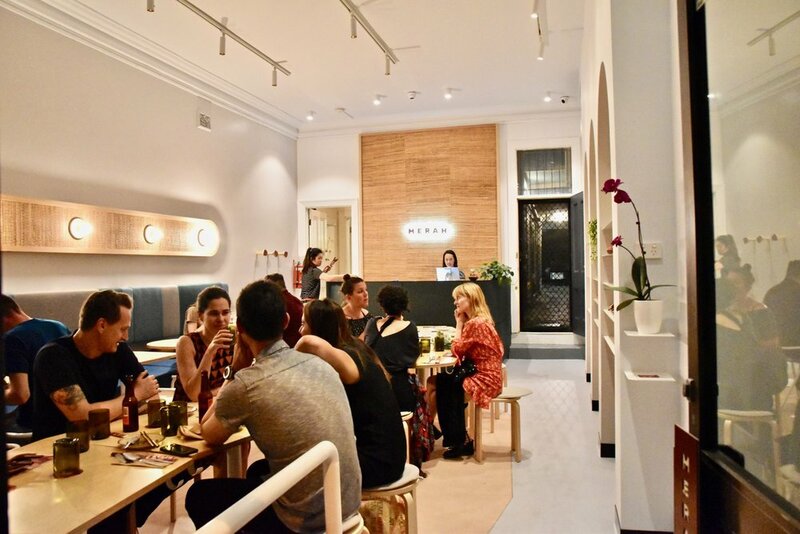 A welcomed addition to Northcote’s thriving food scene, Merah aims to satisfy Melbourne’s unquenchable thirst for South East Asian cuisine by offering modern Malaysian cuisine grounded in authentic flavours. The dining room is casual and contemporary with subdued grey walls complimented by comfortable wooden furnishings and splashes of green tones. Feature walls provide a clever accent, as do the affixed light bulbs. The menu features a variety of Malaysian favourites including hawker style food as well as main dishes to share with rice and roti. We enjoyed the selection of entrees which we devoured happily. 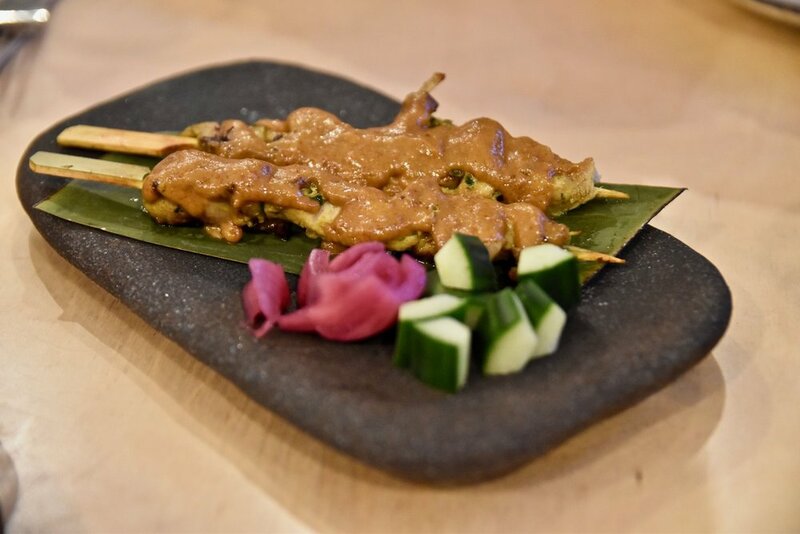 Of particular note were the succulent, aromatic, freshly grilled chicken satay skewers which we slathered in the decadent and perfectly spiced satay sauce. The chilli oil dumplings were yet another highlight. We loved the velvety pastry which was beautiful in texture and the accompanying sea of sweet soy and dried chilli was pleasantly appetising. Cooked with the perfect amount of heat, these siu mai dumplings tantalised our taste buds. For mains we decided to try a couple of their vegan dishes, the Jackfruit curry and the Char Hor Fun. A decision we certainly did not come to regret. We adored the creamy Jackfruit curry - featuring tender and sweet morsels of jackfruit and a wonderful array of spices, this curry had a wonderful depth of flavour and was incredibly memorable. The vegan Char Hor Fun was a showstopper. 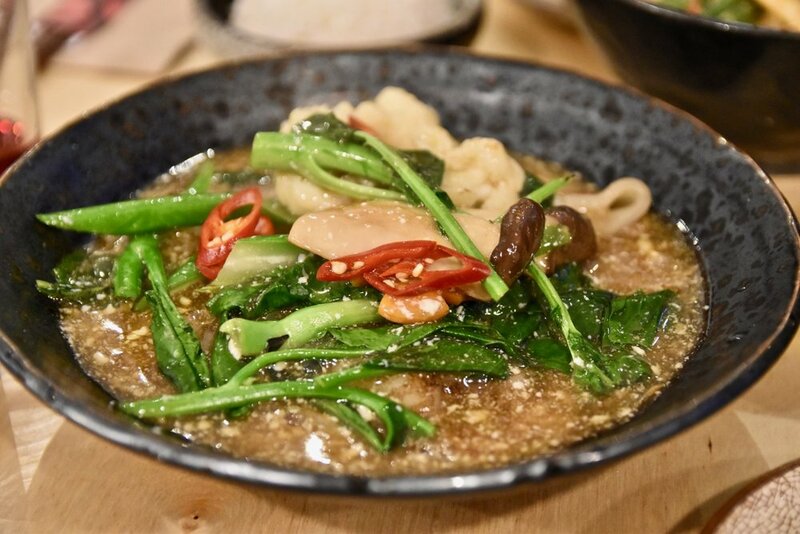 Think wok tossed flat rice noodles, cauliflower, plump king oyster mushroom and Chinese broccoli that boasted vigorous wok-hei which was finished with beautiful silken tofu gravy. We also couldn’t resist getting a plate of one of our all-time favourite Malaysian dishes, sambal kangkung – A stunning dish of water spinach tossed with Merah’s epic kerabu sambal. 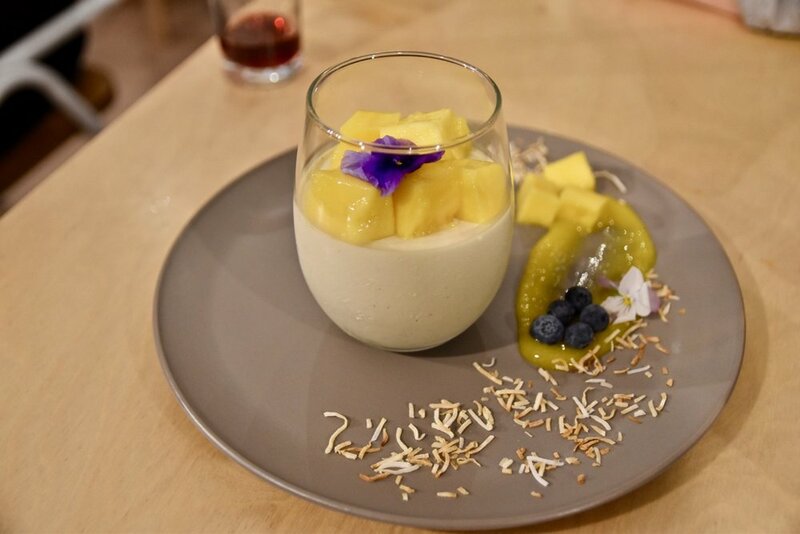 Our evening concluded on a sweet high with the coconut pannacotta served with mangoes and berries. The texture of the pannacotta was faultless and we loved how the pannacotta was not too sweet and allowed the slightly savoury flavours of the coconut cream to shine through. 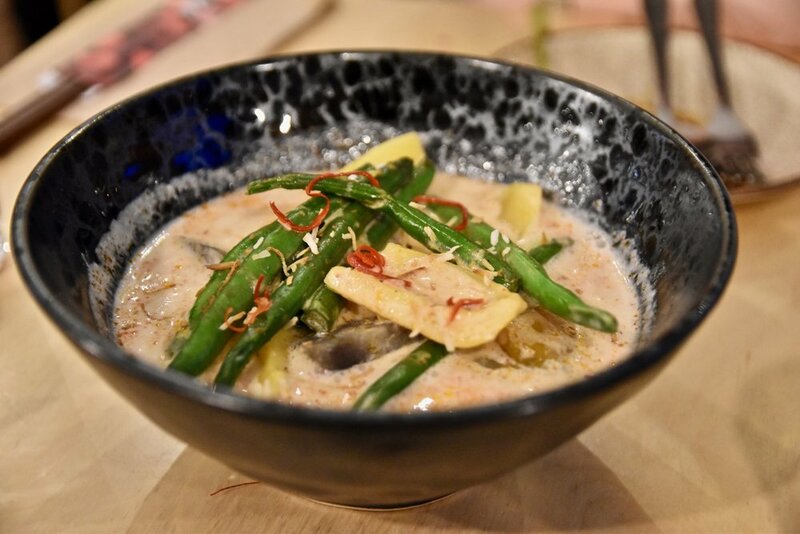 Merah presents a refreshing take on Malaysian cuisine whilst remaining true to its origins. With food this good, a delightfully casual atmosphere and prices this reasonable, Merah is great for a casual catch up with friends or a decadent feast with the family.